This is a convenient & low cost, home based wholesaler/distributor of one of the largest ranges of this niche product range. Includes fast moving, always in demand, healthy snack lines and grocery products (such as health bars, protein-based products, cookies etc.). The range also includes healthy product beverages, and specialty snack foods/confectionery. This investment offers any new owner a large, paid upfront cashflow. With this business basking in the consistent & regular weekly purchasing and ‘Cash on Delivery’ payments from its many, high quality & long term business-to-business clients. 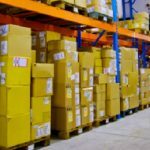 This is a cashflow that most wholesalers would envy. This is a nimble, low cost business, able to compete with the ‘Largest Market Players’ on both price and range (having a larger range of these niche specialty product lines than the majors). Remains highly price competitive, due to enjoying beneficial supplier terms & arrangements, thanks to this business’s high sales volumes. 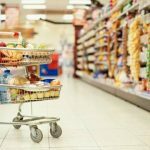 This business represents many fast-moving grocery lines, sold often, as are popular convenience food & drink products. Due to this highly responsive customer service, this business has persisted in posting consistent sales and profits, for years… Its client loyalty demonstrated over many years, is just another benefit that this investment offers any new owner. This is a very simple, 5 day only investment, with a quality vehicle included. These products are in constant demand, near predictable, per week!